How Can I Build and Preserve My Estate? Building an estate can take years of diligent saving and investing. Once you have built up an estate, you’ll want to make sure that you preserve its value for your heirs. You can also add to or create a valuable estate by using life insurance. Premature death can result in financial difficulties for your survivors. By using life insurance to protect against this outcome, you can rest assured that your heirs will be cared for financially in your absence. If you wish, you can also ensure that other financial goals are achieved. Because the premature death of a breadwinner could make college savings or mortgage repayment impossible, steps should be taken to prepare for these possibilities. Life insurance provides a cost-effective way to guard against the threat of interrupted financial goals. The following example illustrates the concept of estate creation. Paul Pringle, a 40-year-old computer programmer, would like to begin a savings program. He and his wife, Pam, have two children, ages 10 and 8. He feels he can afford to save about $3,000 per year. Among his options, he could choose to invest in a traditional IRA. His contributions would be fully deductible and would grow on a tax-deferred basis. 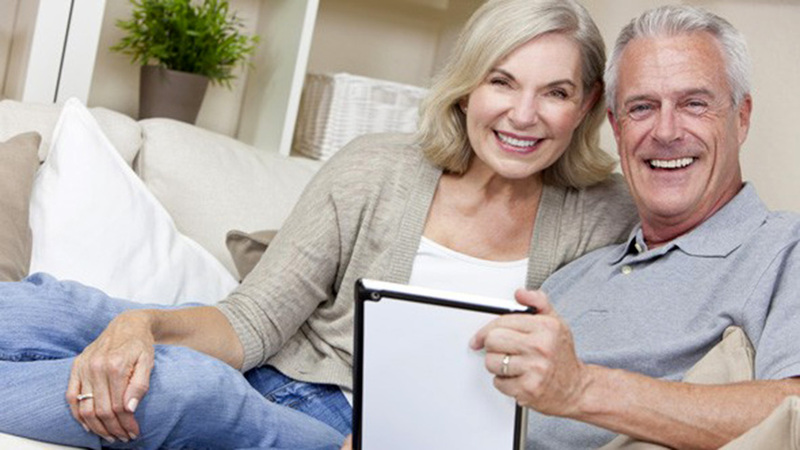 This could help provide a respectable retirement nest egg. However, it would not be accessible for most other purposes without penalty before he turns 59½. For the same annual amount, he could choose to purchase a whole life policy. He could choose a fixed premium, and his cash value would be allowed to grow tax-free, under current tax law, just like in the IRA. Unlike IRA contributions, however, whole life policy contributions are generally not tax deductible. Paul would have penalty-free access to the cash value through policy loans or withdrawals. * And in the event of Paul’s premature death, his family would receive the policy proceeds free of income tax. The proceeds would help to maintain his family’s standard of living, and it could ensure a college education for both of their children. In the unfortunate event that Paul dies prematurely, his policy could generate a significant amount of wealth. For a potentially low premium investment, Paul can create an estate that might take 20 to 30 years to accumulate in an IRA. The security provided by life insurance, combined with the opportunity to create an estate, makes this choice a logical one for many families. Consult an advisor to see how you can help provide financial security for your family. * Access to cash values through borrowing or partial surrenders can reduce the policy's cash value and death benefit, increase the chance that the policy will lapse, and may result in a tax liability if the policy terminates before the death of the insured. Additional out-of-pocket payments may be needed if the actual cash dividends or investment returns decrease, if you withdraw policy values, if you take out a loan, or if current charges increase. The cost and availability of life insurance depend on factors such as age, health, and type and amount of insurance purchased. Before implementing a strategy involving life insurance, it would be prudent to make sure that you are insurable. Any guarantees are contingent on the claims-paying ability of the issuing company. As with most financial decisions, there are expenses associated with the purchase of life insurance. Policies typically have mortality and expense charges. In addition, if a policy is surrendered prematurely, there may be surrender charges and income tax implications. Kleinfelder Capital, Inc. ("Kleinfelder Capital") is a Registered Investment Advisor ("RIA") with the U.S. Securities and Exchange Commission (“SEC”). Kleinfelder Capital provides investment advisory and related services to clients nationally. Kleinfelder Capital will maintain all applicable notice filings, registrations and licenses as required by the SEC and various state regulators in which Kleinfelder Capital conducts business. Kleinfelder Capital renders individualized responses to persons in a particular state only after complying with all regulatory requirements or pursuant to an applicable state exemption or exclusion. This web site is intended to provide general information about Kleinfelder Capital and its team. It is not intended to offer investment advice or to recommend the purchase and sale of any investment product. Information is provided to learn about our advisory services, our people and to be able to contact us for further information. Market data, articles and other content on this web site are based on generally-available information and are believed to be reliable. Kleinfelder Capital does not guarantee the accuracy of the information contained in this web site. The information is of a general nature and should not be construed as investment advice. Kleinfelder Capital will provide all prospective clients with a copy of our current Form ADV, Part 2A ("Disclosure Brochure") and the Brochure Supplement for each advisory person supporting a particular client. You may obtain a copy of these disclosures on the SEC website at http://adviserinfo.sec.gov or you may Contact Us to request a copy.